Malwa, which was built by Caird & Co. of Greenock, was launched in 1908. On 29 January 1909 she left London on her maiden voyage to Colombo, Melbourne and Sydney. 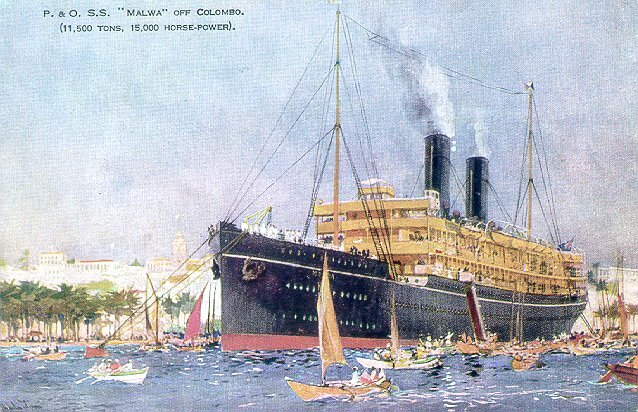 Requisitioned as a troopship during World War I, Malwa returned to P & O's Australian service in September 1920. She was scrapped in 1932. Sources: Kludas' Great Passenger Ships of the World; Haws' Merchant Fleets in Profile.